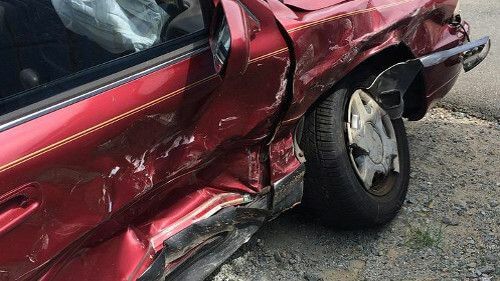 If you have been involved in a car accident which resulted in injuries that caused you to miss work, you may be wondering if you can recover for such kinds of losses in a car accident lawsuit. This article will discuss general factors relating to the recovery of lost wages in a motor vehicle accident case and what you will need to prove your case. If you have decided to sue the person who was at fault for your accident and for the injuries you sustained as a result of the accident, you may be entitled to the recovery of any lost wages that resulted from the accident and the associated injuries. A simple example is where a physical injury, like a broken arm, prevents you from doing your job. In such an instance, you will be entitled to the recovery of lost wages that you would have had, had you not broken your arm. If you could not work for two months as a result of the injury, you would be entitled to two months compensation for lost wages. Lost wages are calculated using your daily or hourly rate and any other income you would receive normally. This would be multiplied by the number of hours or days that you were unable to work. This also applies if you took vacation time or sick time to recover from your injuries. With respect to injuries that result in debilitating injuries or disabilities to the injured person, these fall into separate grounds for recovering lost wages. If a motor vehicle accident causes a permanent or long-lasting disability that affects your ability to earn money for an indefinite time into the future, you may be eligible for lost earning capacity compensation. The way this works is that you may be able to recover compensation in instances where a person can still work, but the disability prevents you from having a higher paying job than you would have had, if you were not injured. In order to receive compensation for lost wages and or lost earning capacity, there is a need to prove one’s losses- that is, wages. The easiest way to prove this is if you are employed by someone else. In such instances, you can submit your most recent paycheck as evidence for the compensation. If, on the other hand, you are self-employed, you will need to provide proof of what you normally would have earned during the period you are unable to work. This proof can be provided by, for example, submitting invoices from the same period during the previous year. Lost earnings capacity can be a bit hard to prove as it requires a certain amount of speculation about the future. Although assumed, the injured person’s line of work and the type of injury and its severity on their own do not determine that he or she will have a diminished earning capacity. There is still a need to prove the injury and what will happen as a result of the injury. For assistance, find experienced vehicle injury lawyers in Alaska.